There are lots of adaptions of E.T.A. Hoffmann’s classic tale presented in movies, animated features and theatres. 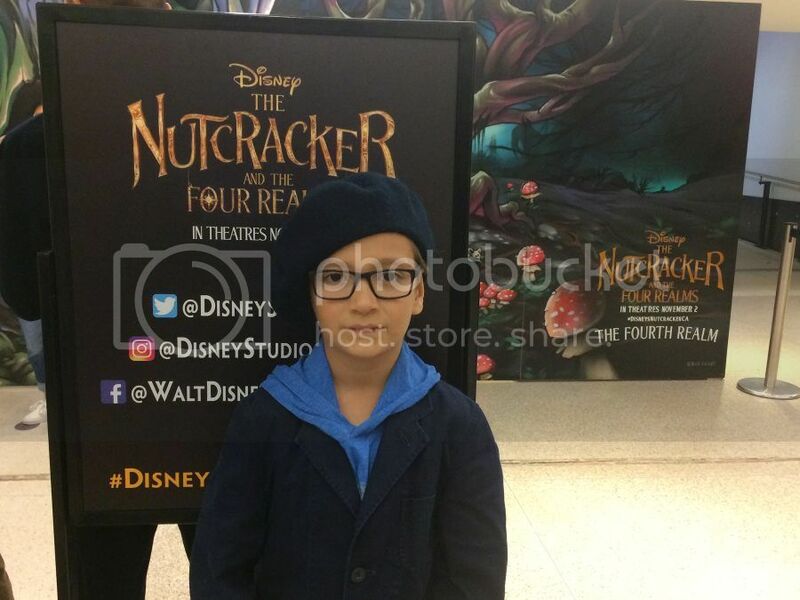 Disney Studios created their own Nutcracker story to impress and admire. Their movie, the Nutcracker and the Four Realms, opened in November last year is visually dazzling story about favorite characters and beloved music. The movie follow adventures of Clara and her family when they try to cope with death of their mover. As Christmas time approaches the whole family attends annual holiday party. Clara wants only one thing, find a key to unlock a box that holds a Christmas present from her mother. Every one at the party receives a gift following a personalized golden thread. The girl receives the key she wanted but for the short time as it is stolen by a little mouse. Clara tries to get her key back by chasing the mouse but somehow finds herself in a mysterious parallel world. There Clara meets a soldier named Phillip who helps the girl in her journey. They visit Land of Snowflakes, Land of Flowers and Land of Sweets. Clara also learns that her mother was The Queen of the whole kingdom. How interesting to learn that your mother reigned and was a good leader? Clara with her new friends has to brave the gloomy Forth Realm, home to the tyrant Mother Ginger. Her clowns are funny and quite scary at the same time. The Sugar Plum Fairy who is the regent of Land of Sweets and supposed to help Clara become a new Queen only used Clara's innocent intentions to help. It is not clear who is good and who is bad in this Kingdom until an army of tin soldiers start ruining what Clara's mother built for years. There are some special scenes in the movie we liked the most. First one is the Mouse King fighting as a gang of mice, spectacular animated creature. Second we liked the show at the castle where The Sugar Plum Fairy tells the history of the kingdom, great moment to enjoy ballet scenes and hear famous Tchaikovsky music. And third are clowns, they are so creepy, their laughs and movements! 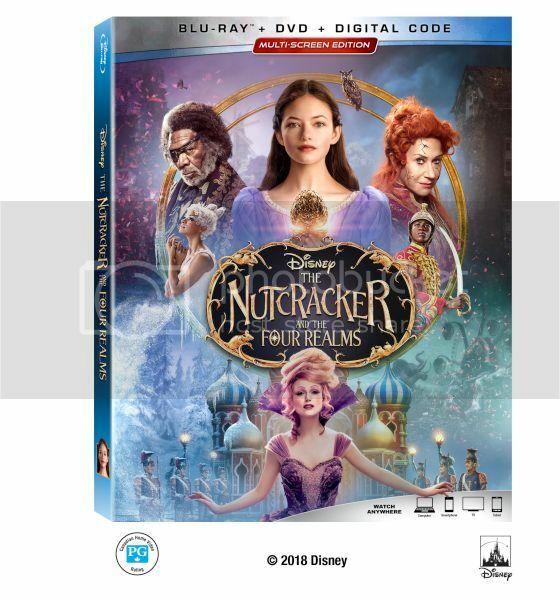 Now Disney’s The Nutcracker and the Four Realms movie, magical adventure, is available on Blu-ray™ and DVD. The release includes never-before-seen extras and deleted scenes. Bonus features include a discussion with American Ballet Theatre’s Misty Copeland about her role as the enchanting Ballerina Princess. Extras take viewers on the set of “The Nutcracker and the Four Realms” to meet both new and reimagined characters, and discover how the Land of Sweets, Land of Snowflakes, Land of Flowers and mysterious Fourth Realm were created to such dazzling effect. We are excited to partner with Walt Disney Studios Canada and give a chance our Canadian readers to win a copy of The Nutcracker and The Four Realms for themselves. The giveaway ends February 6, 2019. For your chance simply fill the Rafflecopter form below and Good Luck! I think that my daughter would really enjoy this movie, but we would likely watch it together as a family! I would love to watch this movie with my daughters! I would watch with my whole family. I would love to watch this movie with my little grandson! I would love to watch it with my granddaughter. I would like to watch this Disney movie with my grandkids ! I love to watch this Movie with my granddaughter. I would love to watch this movie with my granddaughter, I'm sure she would love it and think it's magical! I would like to watch this movie with my grandchildren. I would like to watch this with my daughters. We missed this in the theatre so would watch this with my wife, daughter and son on one of our weekly movie nights. Thanks or the chance. I have not seen this yet and would like to add it to both my disney movies collection and my christmas movies collection. We completely ran out of time when this was int heatres, so it would be amazing to have the chance to see it at home, with my hubby and kids. I would watch this with my family as none of us have seen it yet. I would like to watch it with my granddaughter. I would like to watch with my fiance. Thank you! I would watch this new Disney film with my kids, thanks! I'd love to watch it with my boyfriend!